The Cluny Loom is made of flexible plastic, and printed on both sides for right or left handed tatters. It includes an 8 page step-by-step instruction booklet with 18 photographs, plus a bookmark pattern. 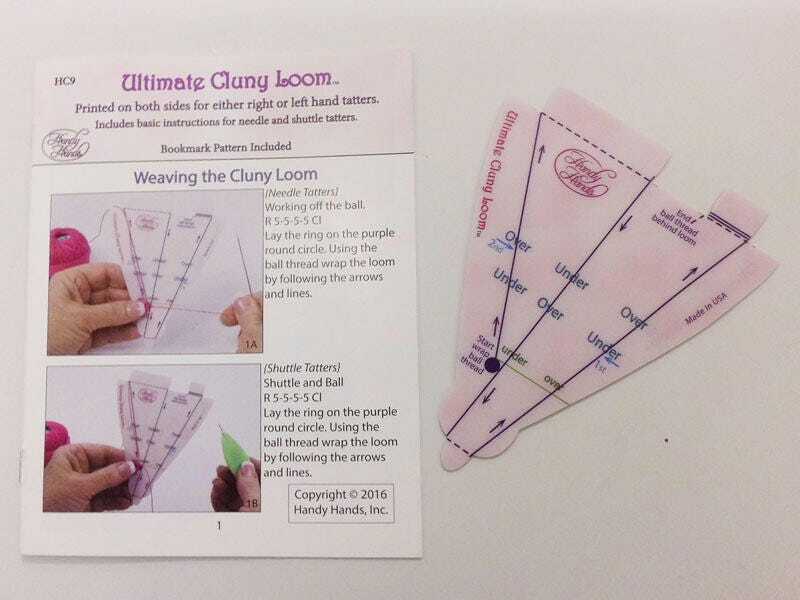 Cluny Loom is 4.25" x 4.5", and works for both needle and shuttle tatting. This loom is a fabulous tool. It helps prevent the hand strain that can come from having to form a loom with your fingers, and it can be set down on your work surface during the weaving process. Highly recommended! I'm looking forward to trying this loom. Thank you!